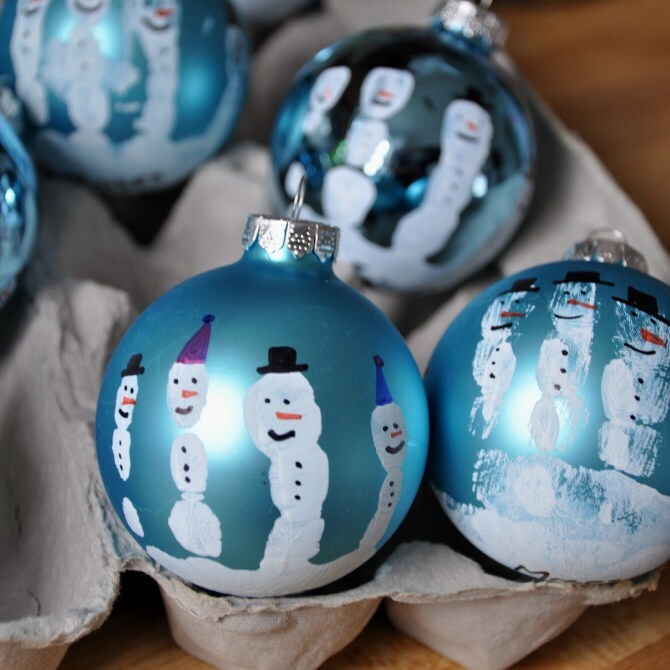 Every year, more and more people are interested in making their own Christmas decorations. Whether they are collecting their favourite ideas on Pinterest, Googling how to make Christmas decorations, asking their most creative friends for tips, or checking out craft magazines and books from the library, people are becoming increasingly more interested in DIY Christmas decorations. That got us thinking: we know that our schedules get crazier every year, and we know that for most people, December is one of the busiest times of the year. So why are people looking to make their own Christmas decorations rather than taking the easier route and buying them? Christmas and the rest of the holiday season seems to be becoming more commercialised every year, with large department stores showcasing their Christmas products as early as July. In addition, the Internet has opened up the world of online ordering, meaning that we can now source unique Christmas decorations from all over the world, as opposed to the limited choices that we once had. And perhaps most importantly, many people complain of a lack of Christmas spirit, despite their best efforts to do all the “Christmassy” things. By creating their own Christmas decorations, we think perhaps people are looking to recreate the long-lost spirit of Christmas: using their own hands and creativity to create something completely unique whose sole purpose is to make their home more beautiful. 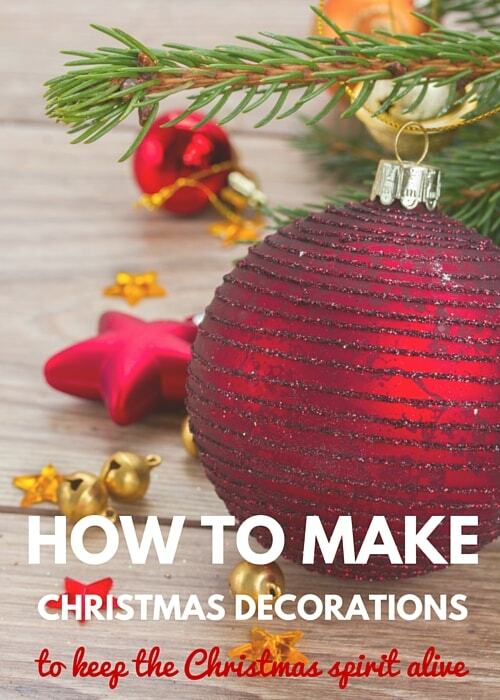 Whatever the reason, we’re so happy that people are interested in learning how to make Christmas decorations, so we put together some of the most unique, special DIY Christmas decorations we could find: those that we feel would go a long way towards making your home exude Christmas warmth once again. Enjoy. We begin with something so easy that the whole project can be completed by very young children. 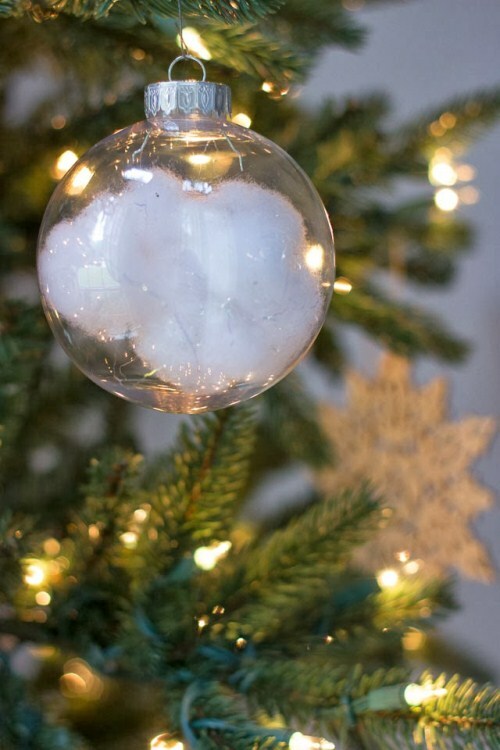 Add some glitter and light up your Christmas tree with fairy lights and the effect will be amazing. These ornaments look fantastic adorning your Christmas tree and are also a wonderful keepsake, allowing you to record the size of your children’s hands this Christmas. If you love the project enough, you may even want to repeat it every year so that you’ll end up with an ever-growing series of personalised Christmas decorations that also document your children’s growth. See below for a free tutorial video. What a perfect way to liven up your Christmas table! 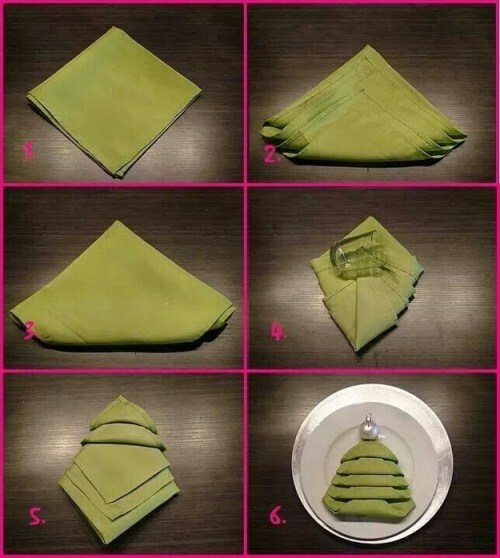 You’ll need to provide your guests with napkins anyway, and by learning this napkin folding technique you can turn your everyday napkins into a clever Christmas tree design. See below for a tutorial video that’s easy to follow. One of the simplest ways of getting into the Christmas spirit this year is reminding yourself of wonderful Christmases you and your family have shared in the past. Allocate an hour to go through your photo albums and your cloud storage and put aside any old family Christmas photos you can find. They don’t have to be explicitly Christmas themed (it’s okay if you don’t have a photo of your entire family wearing Santa hats): just look for photos that remind you of Christmas: perhaps that time you spent the whole day at the beach, or your wonderful memories of Christmases spent at your parents’ or grandparents’ house. Once you’ve chosen the photos that bring back the sweetest Christmas memories, turn your photos into a Christmas canvas collage to display on your wall every Christmas. In years to come you’ll find that just bringing out your Christmas canvas collage and proudly displaying it on your wall will be the start of the Christmas festivities every year. Even if you have a larger Christmas tree displayed prominently in your home, it can be a wonderful touch to include smaller trees as part of your Christmas decor in other areas of your home. 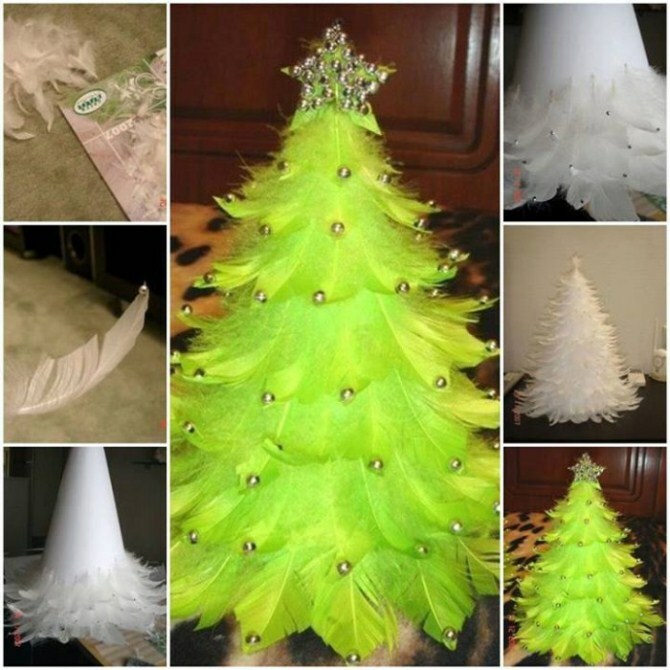 This feather Christmas tree has such a soft, luxurious feel that we think it would be perfect for a bedroom or even a baby’s nursery (out of reach of little hands, of course). It’s fantastic to concentrate most of your Christmas decoration efforts on the inside of your home, especially since this is the area that you and your family will spend most of their time. But for the full Christmas feeling, make the effort to decorate the outside of your home too: and we don’t just mean with strings of fairy lights. 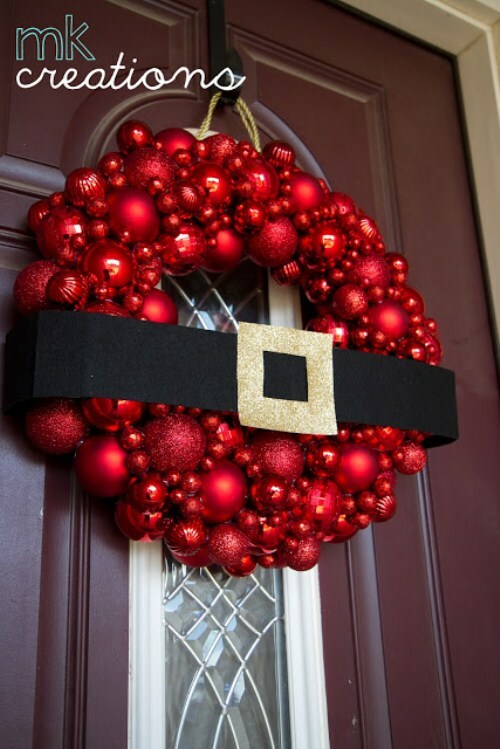 This DIY Santa wreath is bold and effective and is the perfect way to decorate your front door this holiday season. Who knew that you could turn fallen tree branches into works of art with some glitter and spray paint? As this tutorial shows, you definitely can, and the effect can be downright stunning. 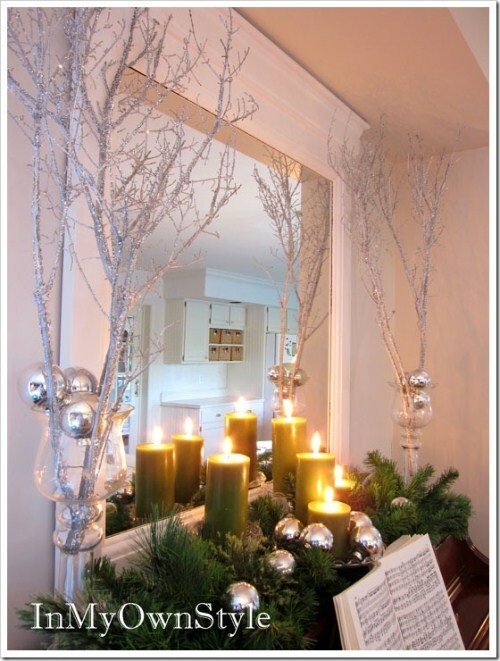 We love the way the finished product is being held in a glass vase with matching silver baubles, and displayed near lit candles and a mirror: all aspects work beautifully together to create a magical area of your home. Hopefully these DIY Christmas decoration projects have inspired you to get creating, or have given you the spark for an idea of your own. Also keep in mind that, as much as may like to use memories of Christmases past to get yourself back in the holiday spirit this year, you may also like to draw on the memories you’re creating right now for future Christmases. 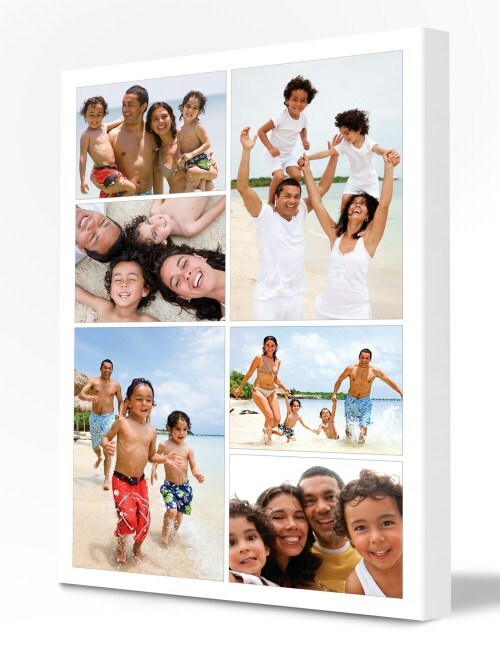 Document your DIY Christmas decoration journey by taking photos at every stage along the way, and once your project is completed, turn your photos into a canvas print to capture the memories forever. In years to come, you’ll be fascinated to look back and see the process you went through to create your own brand of Christmas magic inside your home.